Home > Direct Marketing > Offers that send customers away! You walk into Croma to shop. You look around, find what you are looking for. Discuss with sales person. Negotiate price. Then decide to buy. “No offer on ICICI card?” you ask, disappointed. “That’s great. Then I’d like to buy using my ICICI card,” you beam. On closer examination, you find Croma has an offer on several credit cards, but only on a specific one for each day of the week. For example: Axis bank on Tuesday, Kotak on Wednesday, ICICI on Thursday, HDFC on Friday, and so on. How silly can you get – turn a customer away, and hope he’ll return on a specific day to avail the offer, based on credit he has? If you think Croma is the only idiot around. Check travel portals. Almost all of them have similar offers. 10% cash back on a X credit card for all bookings made on Monday, till 11.59 pm. 15% or Rs.500 off on Y credit card for bookings made between 10 am and 2 pm on specific days of the week. 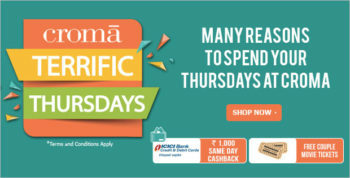 Can’t avail this Thursday offer as you are shopping on Tuesday. Will you return to shop in Thursday? Or, look at a plethora of unbeatable offers on Bookmyshow. Nearly 60 offers are listed. If you decide to go through the list, and also check the terms and conditions of some of the offers you like, you’ll perhaps lose interest in watching a movie. Most offers are plain silly, some fool customers, and yet others are the ones you’ll never be able to avail, thanks to T&C. The few occasions I’ve tried, I’ve failed. Of course, there still are a few nice offers, but then the question is how much effort and time for Rs.100/150 off, or equivalent! Very smart on paper. Seem to solve real problem. “Hey, data shows we have a 20% drop in traffic on weekdays, specially Tuesday to Thursdays between 1 and 6 pm. Let’s do something to build traffic?” the marketing team brainstorms. So, an offer is created. “We can give up to 5% off,” informs their manager. “Figure a creative way to communicate this to customers,” he advises. But the bigger problem is database. So: ‘let’s tie-up with a credit card’. The bank sends the offer out to millions of its customers. Few see it – remember – email open rates barely cross a 1%, and no one reads SMS messages anymore. Yet, swipes against that particular credit card go up (I’ll explain why a little later). The marketers in the store congratulate themselves for thinking fast and smart. The credit card alliance head, meanwhile, takes this as a feather in her cap. Before long, store’s brand marketing team has an offer for every credit card on each day of the week! But actually, the offer could be doing more harm than good. The response is actually from walk-in customers, each one whom one credit acrd or there other. When they are informed about an offer on a card they hold, they are rejoiced, and choose to present it for payment. However, there is a flip side to this too. Larger number of customers who don’t hold the ‘card-on-offer’, walk-out without buying anything. Bad luck, Mr. Store! But nobody in store’s marketing team gets to know this. Remember, cards swipes are up! Overall, transaction numbers against each card show a rise. But overall sales? My guess is Croma loses more sales than it makes due to such offers. It has lost mine several times. Once I discover I’m shopping on a wrong day given the card in my wallet, I march out without buying. Do I return? Rarely. I simply go online – I’ve already checked the product. Or, I visit another store. Even more often, I simply drop the decision to buy, as most of the time I discover (in hindsight) the purchase is neither critical nor important. 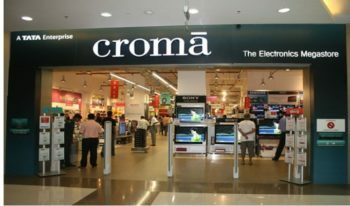 Worse, if Croma is funding these offers – I’m sure they are – they need to re-think about lost sale and profits. A discount to a customer ready to buy can be avoided. Better used as loyalty points, which bring customers back. Or, it can be used to fund other more attractive offers. Similar offers by travel portals are even more ridiculous. 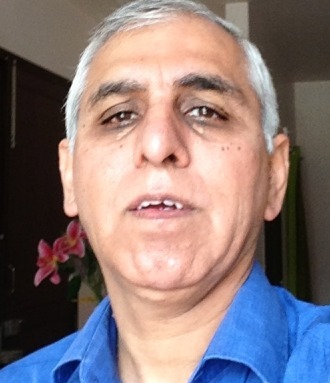 Picture this: I visit MakeMyTrip to book an air ticket. 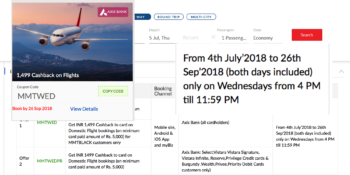 I search offers, and find this gem: up to Rs.1299 cash back on Axis bank cards for bookings made between 4 pm and 11.59 pm on Wednesdays. There are two possibilities: I avail the offer with my Axis bank card. Or lose the opportunity because either I don’t have one, or it’s not Wednesday! Let’s look at some more scenarios. Joy: I have an Axis bank card, and happy to find the offer. Except that it’s 10 am in the morning, and the offer begins at 4 pm. Do I wait for 4 pm, or check other travel portals? Or, just go ahead and book the damn flight? If I care about not losing Rs.1299, my inability to avail the offer may drive me to check other travel portals (I’ve done this often enough, and on occasions found an offer for the card I have). What’s important to note is that the offer encourages me to desert MakeMyTrip. Dear Croma, MakeMyTrip and other travel portals, and several others who make virtue of ‘specific day, specific hour’ offers, your offers could be simply driving customers away. In fact, they are!